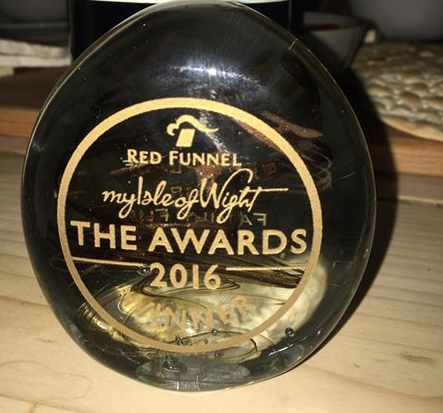 Isle of Wight Festival won the ‘Best Event to Lie Back & Soak Up the Sounds Award ‘ at the Red Funnel My Isle Of Wight Awards. 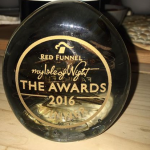 Following this award the organisers of the IW Festival announced further acts to play the 2017 Festival at Seaclose Park over the weekend of 8-11 June. Eleven more acts now join the line-up. Kaiser Chiefs, Texas, The Shires, Example + DJ Wire, Jonas Blue, Nothing But Thieves, The Sherlocks, Ward Thomas, The Undertones, The Alarm and Elle Exxe. They join David Guetta, Run DMC, Arcade Fire and Rod Stewart who top the bill over the weekend as well as George Ezra, Bastille, Jack Savoretti and Rag’n’Bone Man. Fronted by the charismatic Ricky Wilson, the Kaiser Chiefs’ are best known for anthems such as ‘Oh My God’, ‘I Predict A Riot’, ‘Everyday I Love You Less And Less’, ‘Ruby’ and ‘Never Miss A Beat’. The band have recently released their sixth studio album ‘Stay Together’ which charted in the top five in the UK Official Albums Chart. In the past they have been very popular with the IW Festival crowd. Texas will perform at the festival for the first time following their 25th anniversary last year, which included the release of ‘Texas 25’ reaching the top five of the UK charts. Since their formation in 1986 the Glaswegian band have scored thirteen UK top ten singles, three UK number one albums and seven UK top ten albums with sales of over 35 million records with hits such as ‘Say What You Want’ and ‘Black Eyed Boy’. Formed in Northern Ireland in 1975, The Undertones became renowned for combining lyrical invention and musical flair with intelligent simplicity. Their anthemic ‘Teenage Kicks’, much loved by the late John Peel, was one of the most influential songs of the post-punk era. Reformed in 1999, festival goers will be able to hear their classics hits alongside new material.